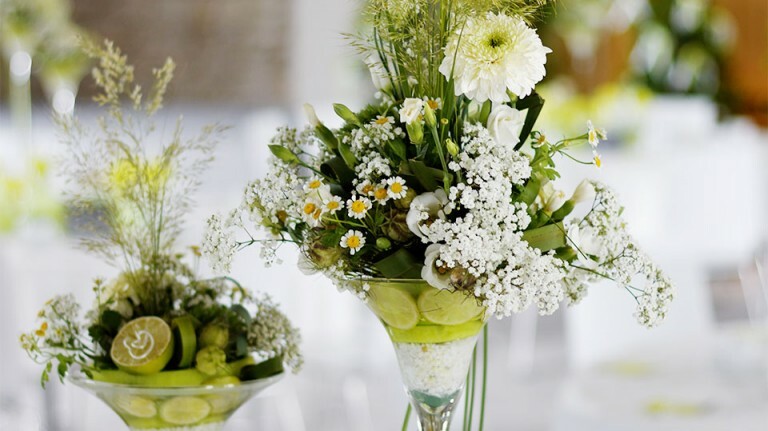 We welcome you to the Hotel Dorfmühle in Lehrberg with the adjoining event barn "Kornspeicher". 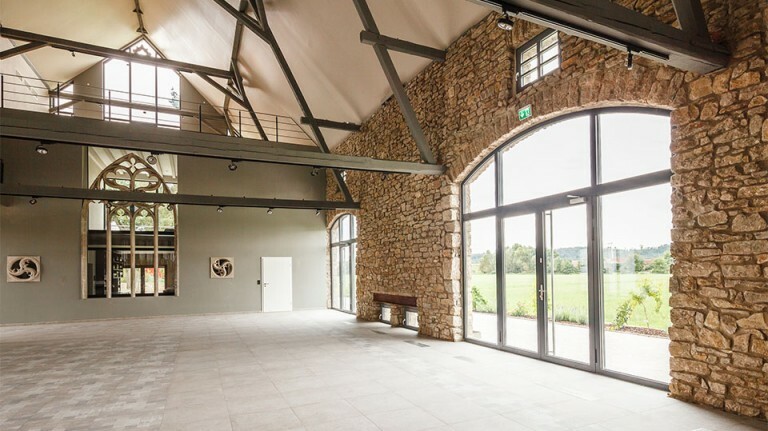 Only seven kilometers from the idyllic margraviate town of Ansbach, the former mill has been transformed into a historic property, creating a stylish hotel complex with a granary and a coach house as a cultural and entertainment venue. 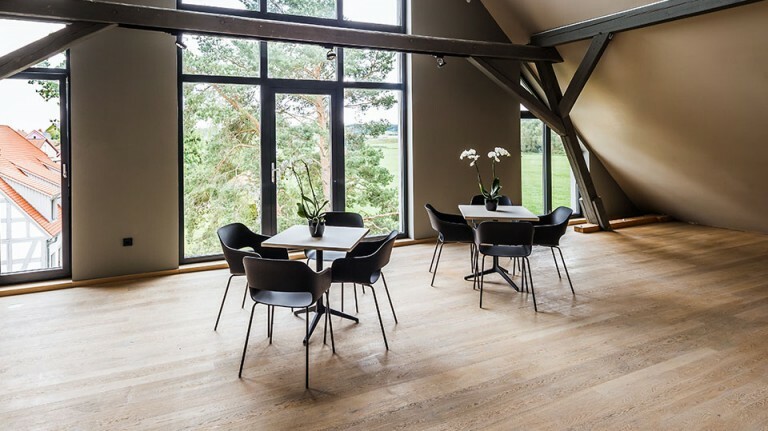 There are many reasons to hold your event at the mill property Hotel Dorfmühle: exclusivity, strong partners and logistical freedom. The spacious property around the village mill welcomes your guests. The facades made of shell limestone give a first impression of your festival location. In the adjacent park can also be celebrated; if the weather requires, also in the coach house or under the pergola. 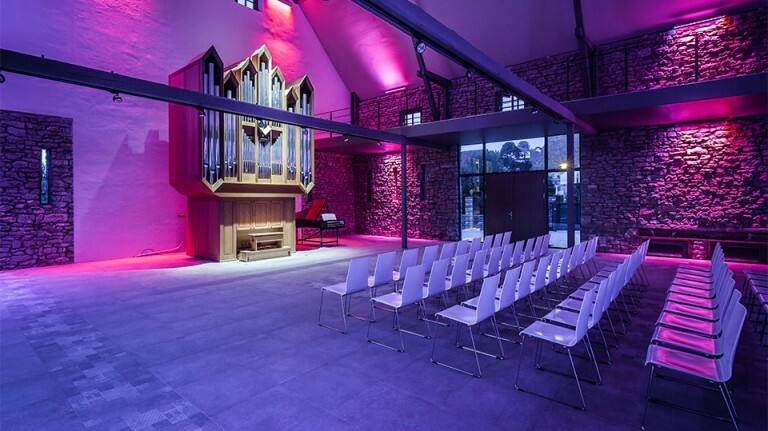 You will find a unique location that offers a stylish setting for private and corporate events as well as for public cultural and art events. Whether in the spacious and lovingly designed granary with seminar rooms and a wonderful summer terrace and a spacious garden or in the coach house with unobstructed views of nature - our individual room concept offers all possibilities.